Harry's Bar01924 373773work Public HouseThis small but busy characterful bar has a range guest ales which change on a regular basis. Be sure to get in early if visiting in the evening as seats are in demand. Although small, Harry's hosts live music nights where you can regularly come across acoustic evenings or see lively bands bringing the house down. Every other month, the bar turns into an exhibition venue on Wakefield’s Art Walk where you can chat to local artists while you enjoy your pint. Harry's can be tricky to find, just look out for Prego’s Pizzeria close by. The bar is located at the end of row of cottage like buildings. 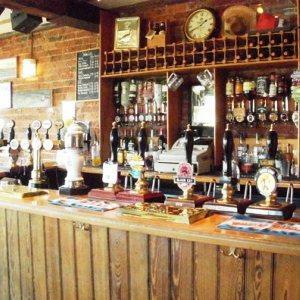 This small but busy characterful bar has a range guest ales which change on a regular basis. Be sure to get in early if visiting in the evening as seats are in demand. Open 4pm till 1am Friday, 3pm till 1am Saturday and 12noon till Midnight Sunday. From Wakefield Theatre & Westgate Station cross Westgate and over the public car park opposite. Harry's is located at the end of a single row of heritage buildings.